When I read passages like those in this week’s lectionary I find myself saying, not unlike the Pharisee in Luke 18, “God, I am thankful I’m not wealthy.” Of course, not withstanding the fact that I am quite comfortable and generally don’t go wanting for what I need, these scripture passages invite us into something much deeper than the matter of money; something that will challenge our way of living no matter the contents of our bank account. The lectionary passages this week invite us to a reorientation toward a life of radical dependence. 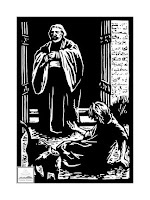 Money is of course a major obstacle toward the realization of this dependence, but other resources such as degrees or physical ability or social status could just as well be stumbling blocks against living in the reality that God feeds us when we are hungry, vindicates us when injustice is done to us (Ps. 146:6). In Amos 6:1a,4-7 we find a description of those living in lavish comfort without concern for the plight of their people and community. Their carelessness is purely negative and consumptive, focused on personal pleasure without realizing the connectedness of their lives to those around them. They have not looked at the problems of their community and lamented them, seeking to right the wrongs. Instead they have ignored these evils in order to more fully enjoy themselves. Of course, they can only ignore the problems of their community at their own peril, “the ruin of Joseph” will soon be their own ruin and the prophet warns them appropriately that they will be the first to go into exile, cut off from their place and community because they have chosen to be cut off from their place and community in its time of need. In the Epistle to Timothy we find a similar tone: “There is great gain in godliness combined with contentment; for we brought nothing into the world, so that we can take nothing out of it, but if we have food and clothing, we will be content with these. But those who want to be rich fall into temptation and are trapped by many senseless and harmful desires that plunge people into ruin and destruction.” The godly must be content with gifts of God and put their resources into the building up of the community. The problem isn’t so much with wealth per se, but with an interest in maintaining it. It is doubtful that someone truly pursuing Christ could maintain their wealth, given their constant generosity and concern for the needs of those around them. Jesus’ parable of the rich man and Lazarus provides a stark view into the reality of maintaining wealth without concern for the well being of our neighbors. The nameless rich man is told that he received his reward while he was living while Lazarus did not. I am reminded here of Gandhi’s statement that there is enough in the world for everyone’s need, just not enough for everyone’s greed. 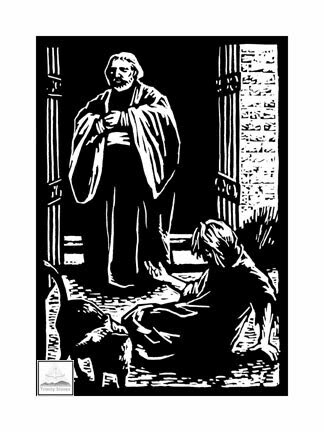 If the rich man had lived in simple dependence on God’s abundant gifts he would have had plenty for his own needs and to share with Lazarus. Instead, the rich man ensured his own comfort by taking more than was needed, relying on the security of his grain bins and economic power rather than God. As folks like Jonathan Wilson-Hartgrove have done so well to remind us, there is a different kind of economic order available to us that doesn’t require the minimal deposit for an IRA. To join we must simply live in the truth that what we have is not ours and live in the freedom of this dependence by sharing in God’s love and care for the divine neighborhood of which we are intimately a part.